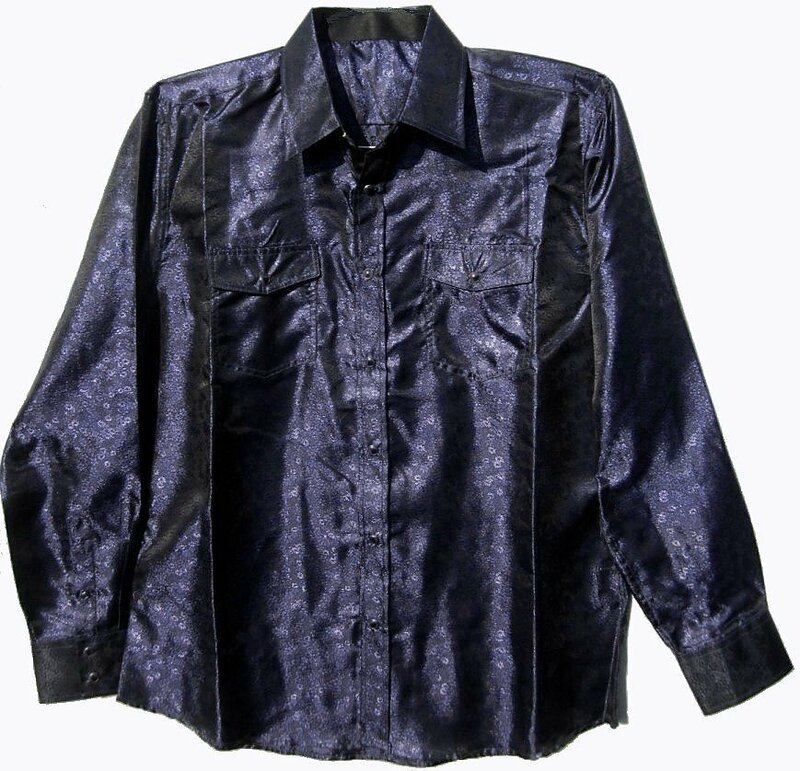 These are shiny wide cut shirts. This one is pretty dark in color, an eggplant purple. The shirts have snap colosures. The chest fit sizes will measure a few inches larger than stated chest size. The XL is approximately 49" around at armpit level for a 44 - 46 loose fit. They back ground color in the shirts is a shimmery black cover. It is covered with tinpy purple flowering. The classy shirts are well suited for an upscale party or if you want a bit of flash. The stated fabric content is polyester, but it feels more like acetate, which would make it a dry clean item. Hand wash and hang dry or dry clean. Smaller sizes will be added. Email if needed.